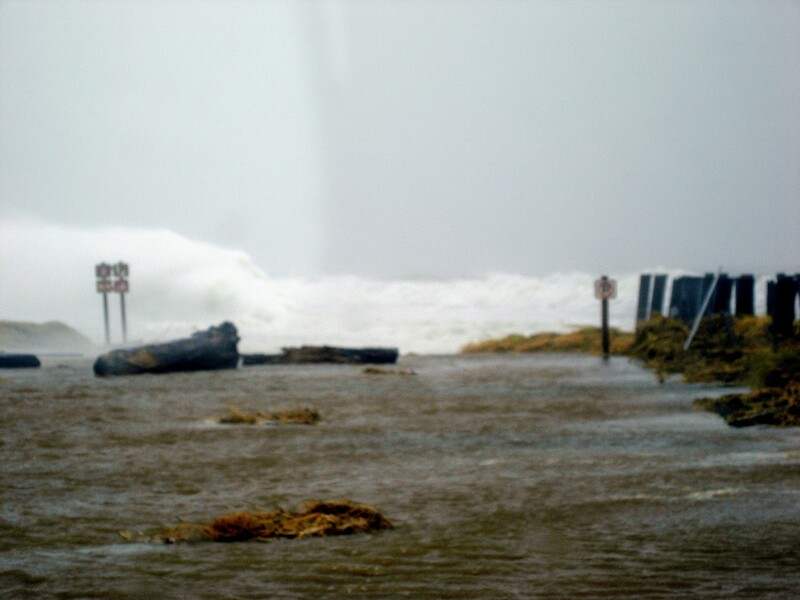 There are few places in the world where you can sit on the edge of the most powerful sea in the world as it throws high winds, intense rain, and monstrous waves relentlessly at you. Ocean Shores storm watching is a popular winter past-time and an awe-inspiring display of the ocean’s power. 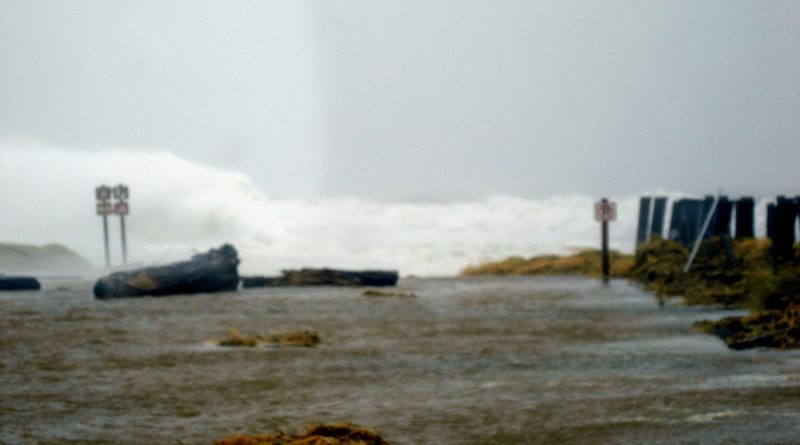 Watching the waves explode over Ocean Shores’ North Jetty is one of the most amazing displays of the Pacific Ocean’s raw power. 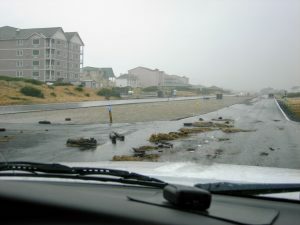 Debris washed over Ocean Shores Boulevard next to the Jetty. 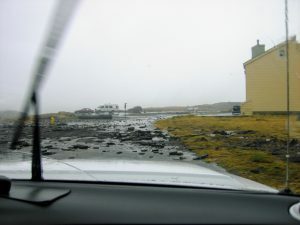 The ocean threw chunks of asphalt all over the road that were piled up as part of the jetty. A small section of the road remains above water as another wave crashes over the jetty. 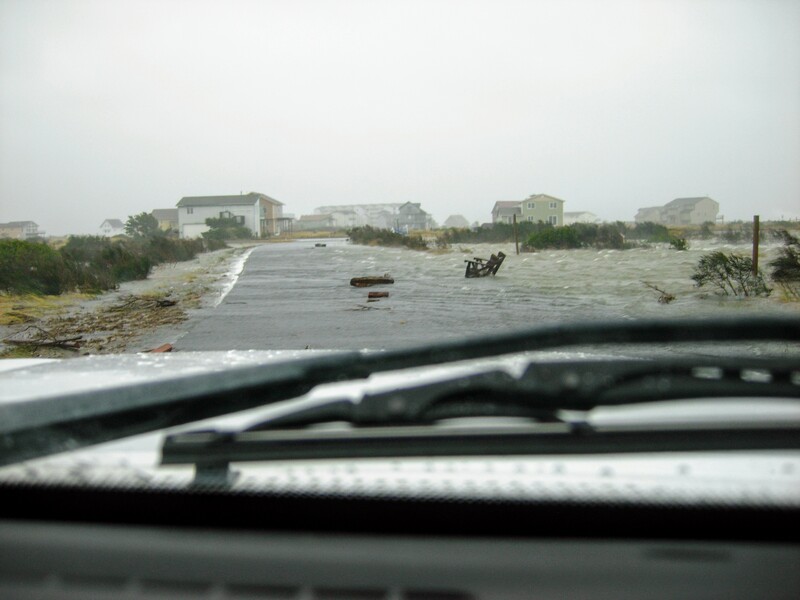 Ocean and rain waters rushing over the road. Damon Point is a fascinating demonstration of the shear power of the ocean during a storm. 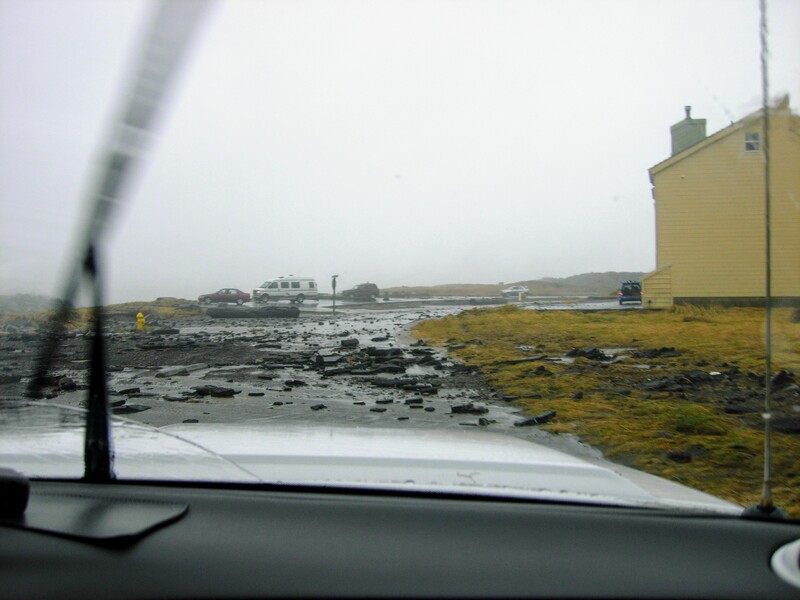 There used to be a road maintained out to the end of the point but storms would constantly wash it out. 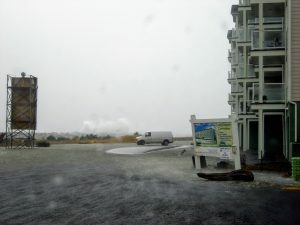 Eventually the city budget gave way to the power of the ocean during storms and now it is a fascinating place to see the power of a storm in Ocean Shores crashing over the beach into the harbor. 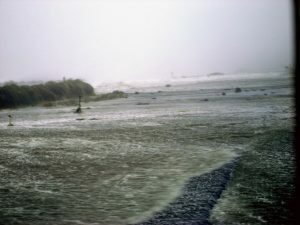 Damon Point. 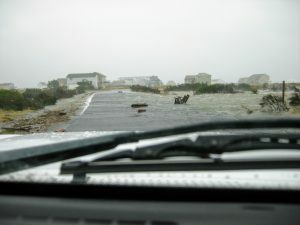 The road continued for miles until this 2007 storm. Now there is nothing but ocean here. There are many Ocean Shores beach access roads that would allow you to sit in the comfort of your car on the beach while storm watching. With the right hotel room you can sit back and relax with the view of a storm blowing right into your hotel room. You might not see much but gray but it can be quite impressive nonetheless.